The children get really excited when a new show comes to Nick Jr. There is always loads of build up, with Nick Jr. showing clips and teasers of the new show before it officially airs – which really builds the anticipation. 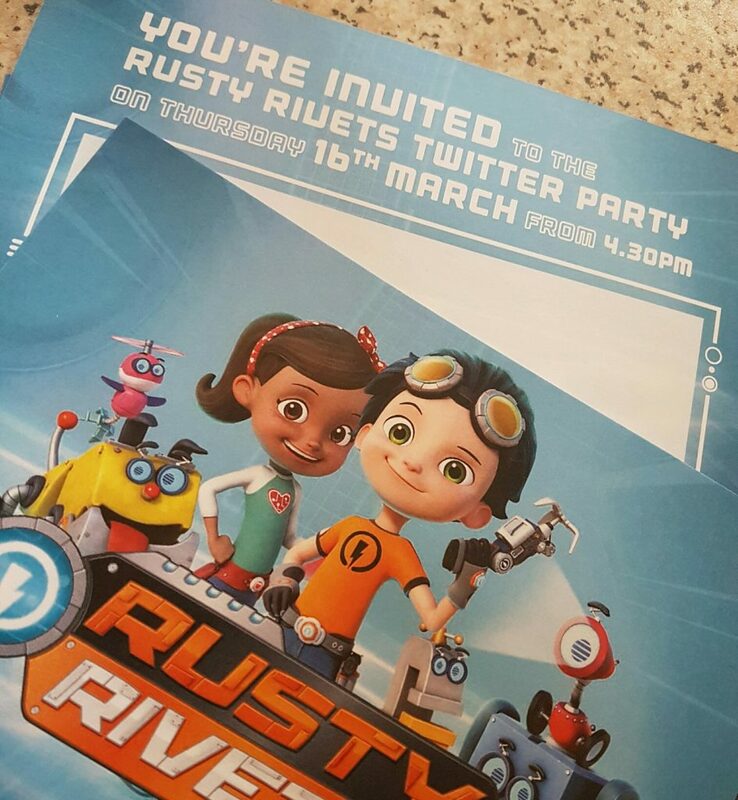 The latest new show to launch on the action packed channel is Rusty Rivets and we’ve been having a Twitter party today to celebrate. Rusty is a born leader: a confident, curious ten-year old maker, innovator and designer. He has a belt full of advanced tools and a fascination with gadgetry and machines. His ideas can sometimes seem a little wild, but they ultimately help him save the day in an inventive way. He’s a curious kid who loves figuring things out, piecing things together, and using his skills to help his community. Ruby is Rusty’s neighbour and she has been his best friend ever since they turned her broken skateboard into a solar-powered, laser guided buggy with on-board GPS. 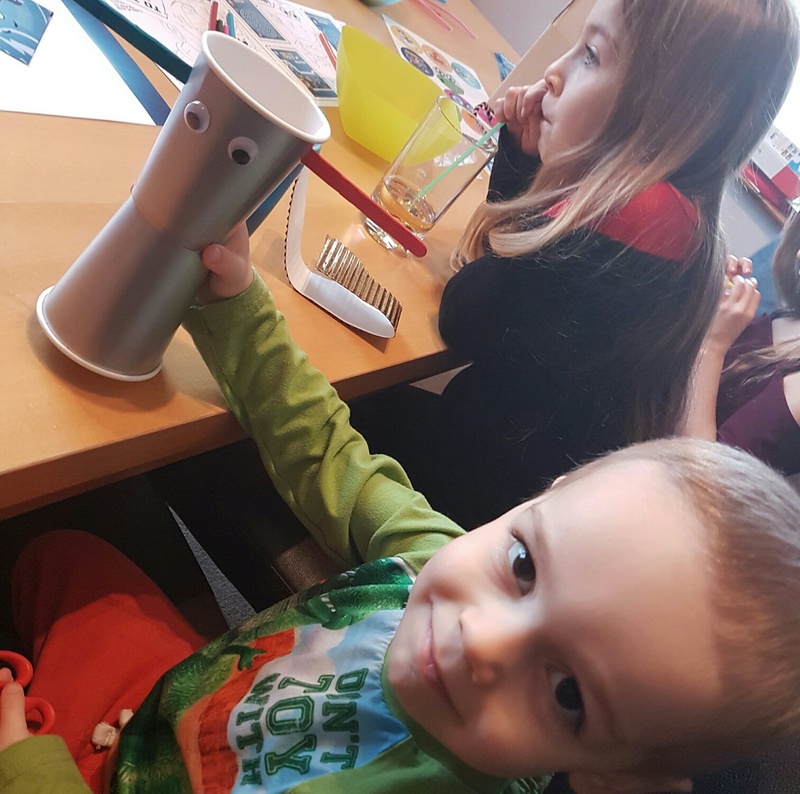 Ruby shares Rusty’s enthusiasm for all things mechanical and electrical – she even built and programmed her own robotic pooch, Bytes! A wildly curious, high-energy, five year old boy from down the street, Liam is a magnet for mayhem! His excitement about everything that Rusty and Ruby do is endearing, but frequently causes chaos. He tends to leap before looking, so he often needs Rusty to save him. Liam’s goal is to pack in as much living as he can form morning to night! 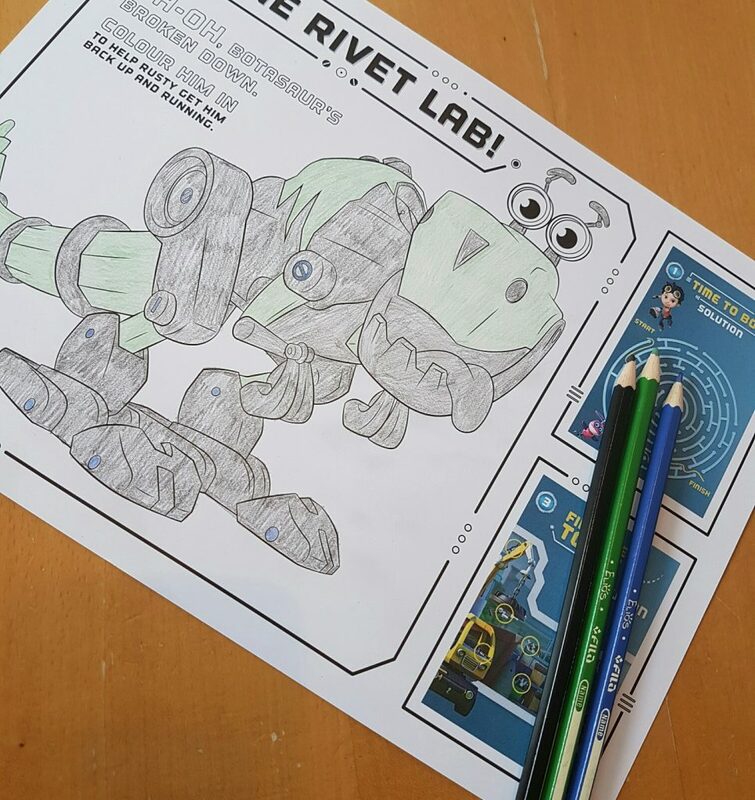 The Bits are robot helpers who live in the Rivet Lab. When summoned by Rusty’s magical utility glove or Ruby’s Tablet, they whoosh out of tubes attached to their station, constructed out of old vending machines. There are four Bits to the gang; Crush, Whirly, Ray and Jack who all have their own personalities and attributes to help Rusty and Ruby with any problems they may face. We kicked things off with a memory game. The children have played something similar recently so they were able to get started right away. There was a spot of coloring that went on then – some quiet concentration time, everyone trying to stay inside the lines of course! 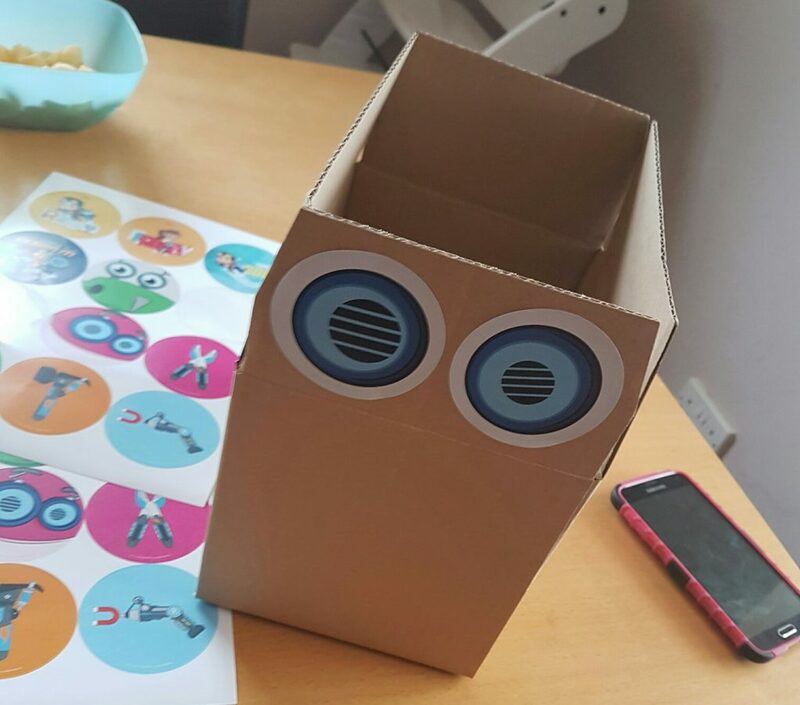 One of the things that the children enjoyed the most and spent the most time on during the party was the robot making activity. We had all sorts of robots, different shapes and sizes and made with a range of materials. One of the lovely things about Rusty Rivets is the mass appeal across a big age range. Children from 2-12 will be hooked (even if they don’t want to admit it). 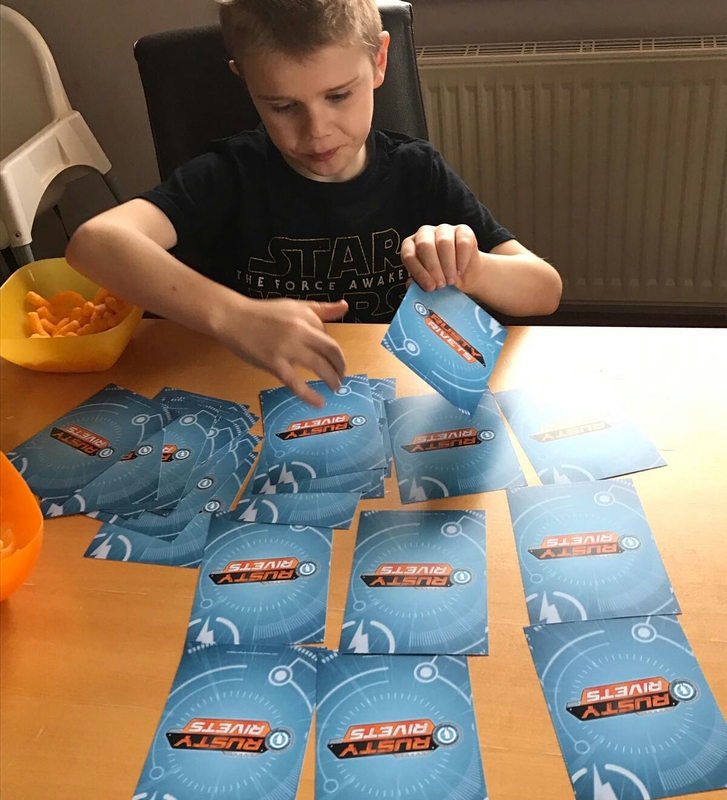 The show inspires an interest in science, technology, engineering, and maths through the accomplishments of two young inventors. There’s an inventor inside every child right? Each episode presents the characters and their team of robots with a problem that must be solved. 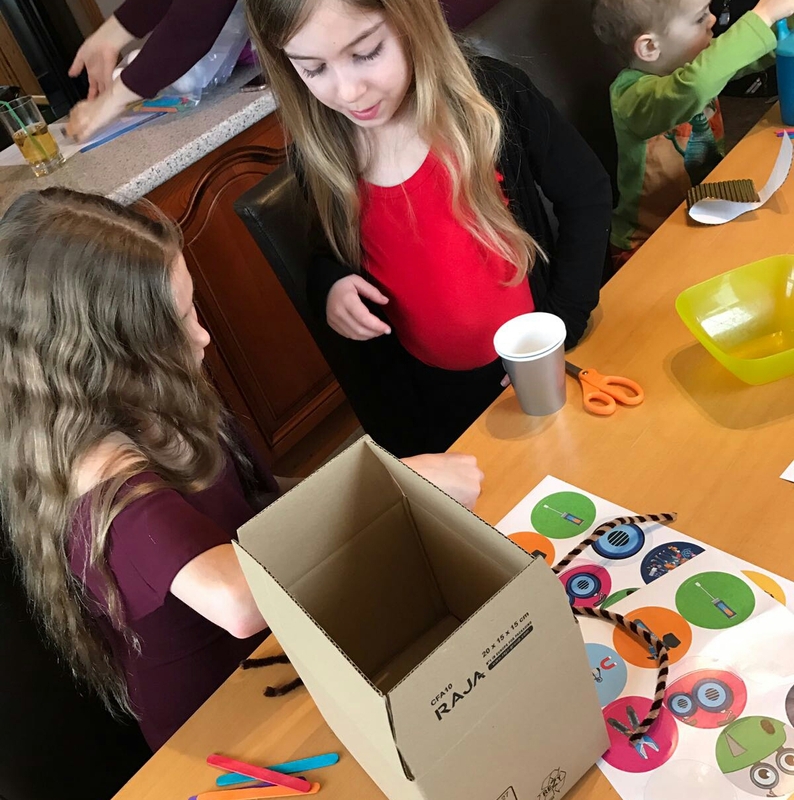 Rusty and Ruby design and build a robot of some sort to help out with whatever they are faced with. They gather ideas, suggest how different moving parts will work, and use various tools to get the job done. The show is comparable to something like Blaze and the Monster Machines, in the approach it takes to teaching difficult concepts in a simple way. The show presents the basic workings of the engineering process without getting too technical for a young audience. 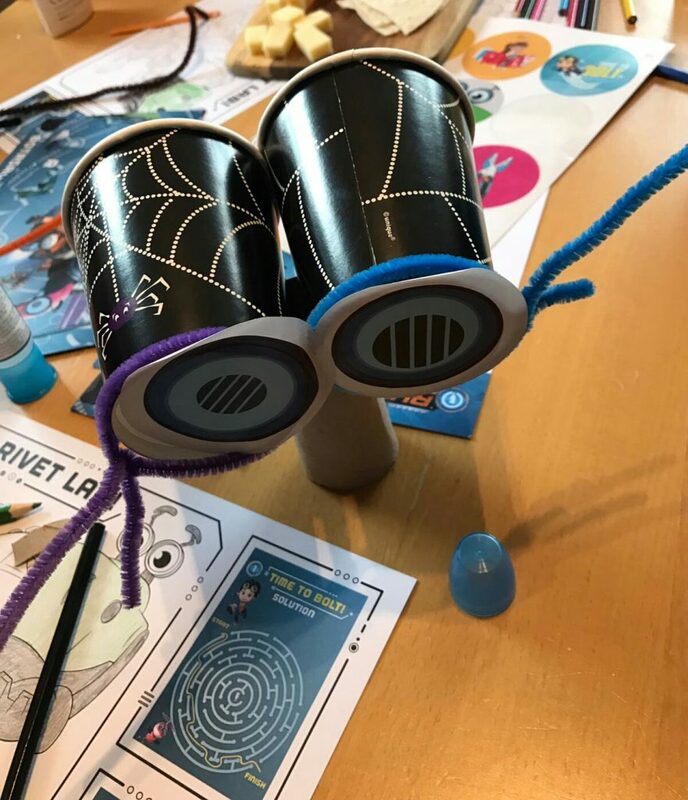 Themes of perseverance, determination, and resourcefulness stand out within the child-friendly content, and both the gender and racial diversity is a welcome bonus as well. It’s a massive thumbs up for Rusty Rivets from us! Why don’t you give it a go – Weekdays at 5.30 pm on Nick Jr.